Research has estimated that four out of five Australian households had their own garden at home. Given this figure, it’s safe to say that Australians love their gardens! And for those who do, we are pretty sure that countless hours have been spent tending and beautifying these sacred outdoor spaces. 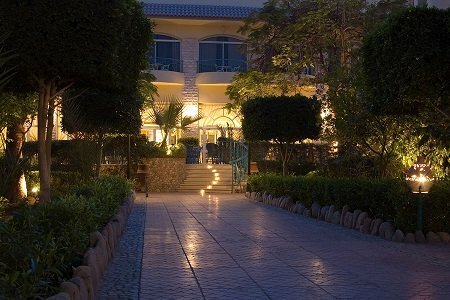 In addition to great landscaping, there is one more element that can enhance and improve the outdoors: garden lighting. In this blog post we will share some important considerations you may make when it comes to planning and installing garden lighting fixtures. Make your garden even greener by using different types of eco-friendly lighting fixtures. Get the best of both worlds with modern garden lighting fixtures that are both eco-friendly and efficient! LED lights are not only great inside the home, they’re perfect for the outdoors, too! 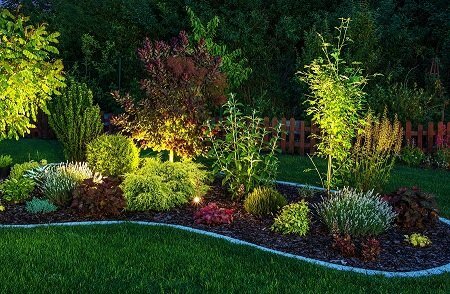 The LED outdoor lights that you can use for your garden are energy efficient and reliable. While you may need to install these with the help of an experienced electrician, using LED lighting in the garden is a smart alternative to other lighting fixtures to ensure efficient energy usage. Make a bold statement in your backyard, with a floodlight highlighting a specific space, like a water feature. Highlight patios or any other covered outdoor space for both safety and functionality. Create a warm and inviting ambiance in your garden, with garden lights to illuminate pathways or highlight plants and flowers. A softly glowing pool or spa is a really special feature. Wall sconces and lighting helps keep an entryway illuminated and safe for guests or late-night residents returning home after a night out! One of the most popular garden lighting trends lately has been smart lighting. Yes, smart technology has evolved from inside the home to the outside! Garden lighting automation makes it easy to transform the ambiance of your garden within seconds. Hosting a BBQ at home? Light up your entertaining area, and softly illuminate the pool. Welcoming people to your home? Light up the garden path in the front yard as guests arrive. Depending on your garden installation plans, you have control of the functions – from spotlights to ground lights that change colour. With just using the smart control options of your smart lighting, you can automatically transform your garden into something even more beautiful when night falls. Transform your garden with the right outdoor lighting solution! If you’re thinking of amplifying your home garden landscape, there are so many outdoor and garden light fixtures that you can choose from; there are plenty of light fixtures available that suit a wide variety of functions, taste, and budget. When it comes to strategy and installation, you can always count on Briggs Electrical’s team of qualified domestic electricians. With safety as our top priority, we’ll plan, source, and install a lighting system designed to dazzle guests and transform your garden into a space that can be used anytime of the day – and night! Call us anytime to discuss garden lighting. Call David and the Briggs team today on 1300 300 222. Alternatively, fill in this form and we will be in touch!